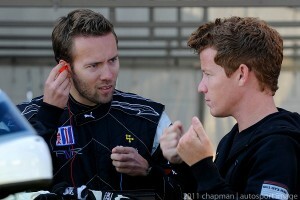 A good race start that was hampered by more than one body blow by a competitor to the No. 37 Porsche Napleton Racing/37signals Porsche GT3 was the likely cause of an early exit for David Heinemeier Hansson Friday at Sebring International Raceway in Round 2 of the season-opening event of the 2011 IMSA GT3 Cup Challenge by Yokohama. After finishing a solid sixth in the top-tier Platinum Cup class in Thursday’s season-opening race, Hansson and the debuting Porsche Napleton Racing (PNR) team were looking for an even better result today. A series of hard hits, however, as the green flag flew – including one squarely on the No. 37 Porsche’s left rear wheel – likely created a terminal gearbox issue less than two laps later. Hansson crossed the start/finish line in seventh place on Lap 1, up three spots from his 10th place starting position, but just a few corners later the No. 37 Porsche slowed with the gearbox issues and limped back to the pits. Although the PNR team will have to get inside the Porsche’s gearbox to learn the ultimate cause of the failure, there’s no question the green-flag contact didn’t help. “I guess something was knocked around, or maybe already was rolling around in there, but it just didn’t last,” Hansson said. Despite the disappointment of Friday’s short-lived race, Hansson and the PNR team still left Sebring encouraged with the pace and performance they demonstrated this week as they begin their first-season campaign in the IMSA GT3 Cup Challenge. 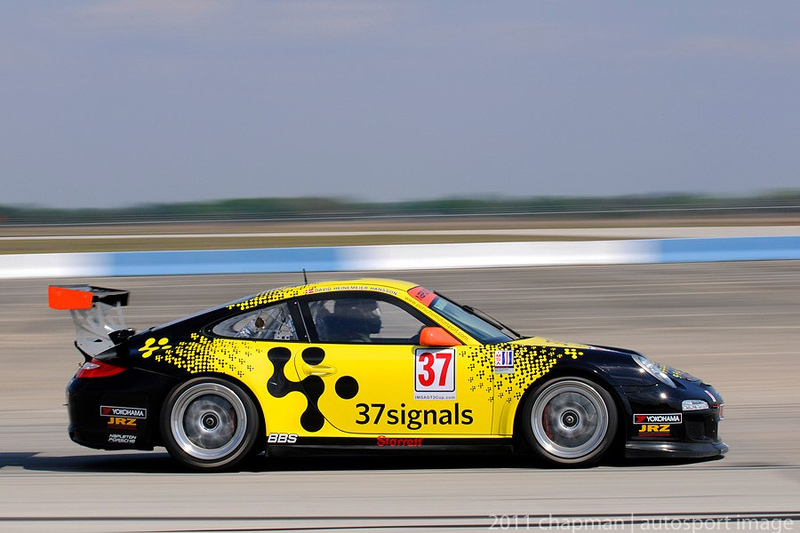 Video – First Hansons Porsche GT3 test run at the Sebring 2011 race.